When we go outside, we need to protect ourselves from the sun. We generally make sure there is sunscreen available and any other protective measures we to take so we can make sure we don’t get burned by the sun, and it’s UV rays. If you’re not a huge fan of getting burnt after a day in the sun, foods that are rich in antioxidants can help you battle the rays of the sun. While simply eating healthy will aid anyone during a long day outside, it’s still important to use traditional methods like SPF lotion, clothing that offers protection and even resting up under a nice tree after you’ve been in the sun for too long. It is also important to note that while these foods have been proven to provide us with ingredients that help to fight off the damage sun can cause, it takes up to 10 weeks after introducing these foods into your diet on a daily basis. Regardless, the natural protection these foods offer are undeniable so let’s check these delightful foods out. 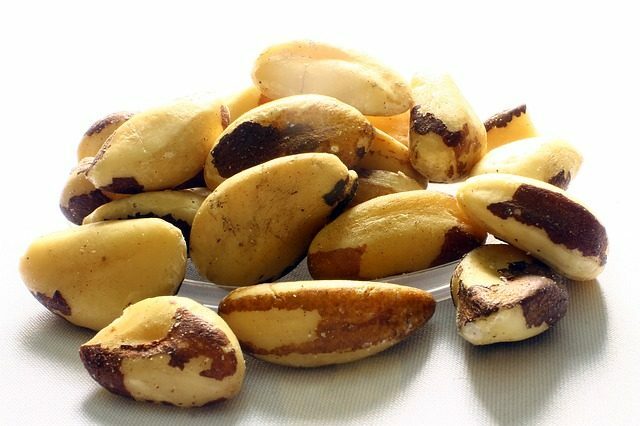 Those fancy Brazilian nuts are the first tool on the list that can battle the sun. The National Institutes of Health have stated that a single ounce of these jam-packed nuts contains over five hundred micrograms of selenium which is known to help combat the oxidation that glares from our sun. This powerhouse dosage of selenium is over seven hundred and fifty percent more than the daily consumption that is needed for a healthy body. Eating a combination of sweet potatoes and carrots give your body beta-carotene, which is used for inhibiting dangerous compounds inside free radicals that beam from the sun. Foods that have a high amount of beta-carotene aids in healthy skin cell creation and allow the person to have a nice tone to their skin. These handy little orange machines can also help calm down the side effect that occurs if you do happen to get burnt by the sun because you were out in the water all day. 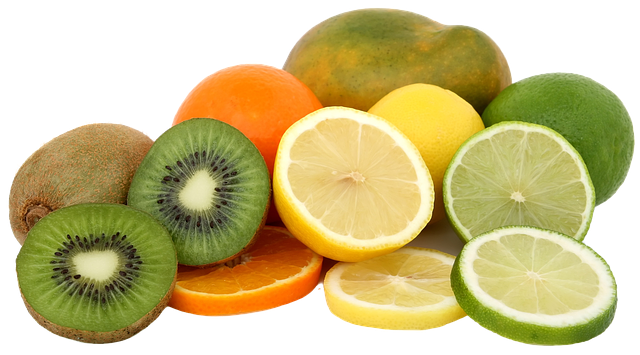 The peels around citrus are commonly used in the medical field because they have an amazing ingredient called limonene. The University of Arizona released a study that concluded that eating the outer part of your lemons, limes, and oranges directly reduce skin cancer which is a perfect combatant for the sun! They found that consumption of citrus peels containing limonene is directly related to a reduction in the risk of skin cancer. The leafy vegetables like kale, lettuce, chard and spinach contain some wonderful nutrients that battle the effects of the sun. The two major nutrients you get from these delicious greens are lutein and zeaxanthin. These two antioxidants have been proven in multiple studies to help the skin with light based damage to the skin, particularly the UV rays that the sun ruthlessly emits across the solar system. The two inhibitors are known to even help protect people’s eyes through protecting the retina and minimizing damage to the membrane. A study has even been released that three servings of jam-packed leafy veggies reduce the chance of skin cancer to as much as fifty-five percent over time, so these are well worth mixing into breakfast or lunch. Green tea is perhaps the most relaxing way to battle the sun. The delicious drink has high amounts of polyphenol. This nutrient has been shown to be pretty effective in the battle against the free radicals we receive from the sun every day. 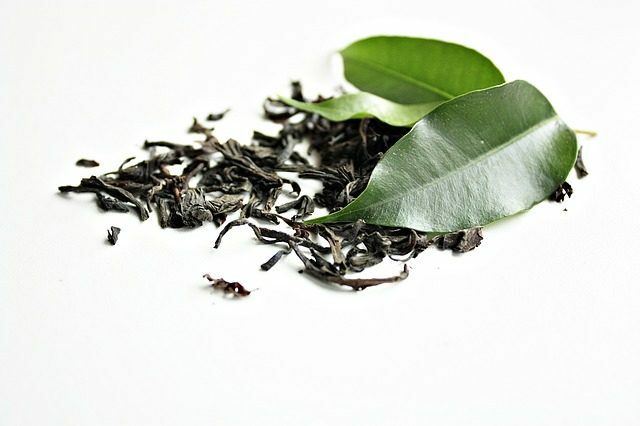 In a study, animals proved that skin protection in both human and animal studies have shown an extraordinarily calm way of reducing damages from the sun by terminating the free radicals from the sun that make it inside of the body and reducing inflammation rather than simply blocking UV rays from entering the body leading experts to believe green tea brings a more systematic approach to clearing the dangerous aspect to being outside all day. If you are too busy to sit back and relax over a cup of tea, you can simply rub on some tea lotion onto your body to protect your skin before you go outside. When this is combined with SPF, it provides incredible protection against the blazing heat waves that could scorch your body. There are a couple of red fruits and vegetables that are high in lycopene which is an incredible useful antioxidant. 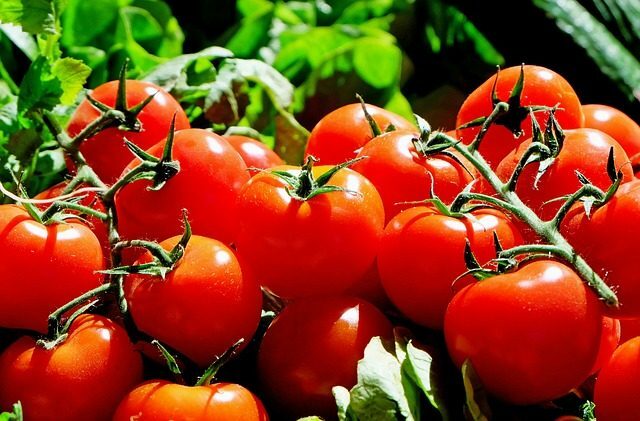 There was a study that showcased twenty-three women who were very sensitive to the sun, so they took fifty-five milligrams of lycopene every day. After three months of drinking tomato paste, the ladies showed a drastic thirty percent increase in protection from the damaging sun rays. Not too shabby. While eating these healthy foods, there’s no doubt that they should be combined with traditional ways to protect yourself from the sun but there’s no denying the effects that food can have in protecting you from dangerous UV rays and free radicals. By using nutrition to help aid for a day outside, you’ll be much more likely to wake up the next day feeling refreshed after a day out in the sun rather than painfully putting on your shirt.